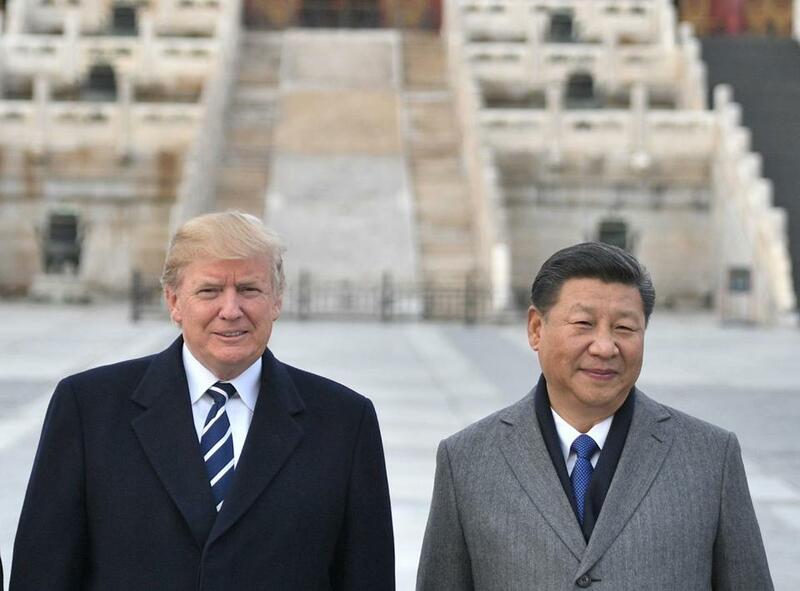 US President Trump (left), and Chinese President Xi Jinping (right) pose at the Forbidden City in Beijing. BEIJING — China’s government said Thursday it will promptly carry out a tariff cease-fire with Washington and is confident they can reach a trade agreement, suggesting Beijing wants to avoid disruptions due to the arrest of a tech executive. Asked to confirm whether Beijing promised to buy American goods immediately, Gao said China will ‘‘immediately implement the consensus reached by the two sides on farm products, cars and energy.’’ He said nothing about purchases. ‘‘China is full of confidence in reaching an agreement within the next 90 days,’’ the spokesman said.